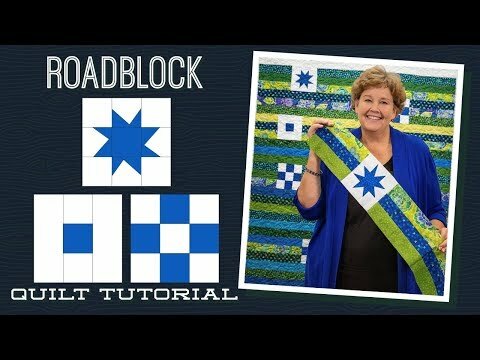 Roadblock Quilt Pattern by Missouri Star - Missouri Star Quilt Co. - Missouri Star Quilt Co. When you reach an obstacle, what do you do? Well, don't just stand there looking at it! Go right around it and keep on moving. 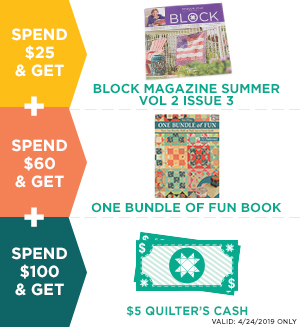 This quilt is a quick strip-pieced pattern with fun little quilt blocks to break up the design and add interest. Get started with a roll of your favorite 2 1/2" strips, 1 yard of background fabric, and 1/4 yard of contrasting fabric and hit the road! Finished size: 61" x 87"